Nairn's Sandy Scott, a first-year student at Texas Tech, finished joint 48th in field of 81 competitors at this week's Southern Highlands Collegiate tournament at Southern Highlands Golf Club, Las Vegas. Scott, pictured, had rounds of 81, 70 and 72 for a total of seven-over 223 over a long par 72 course of 7,374yd. He had two triple bogey 7s and a double bogey 5 in his first round but showed his potential with 11 birdies spread over his second and third rounds. In fact his final par round included a quadruple bogey 8 at the 11th. Also in the field was last year's Scottish U18 boys champion from Edinburgh, Eric McIntosh (Northwestern University). He finished second last on 244 with rounds of 84, 82 and 78. Eric is obviously taking a while to settle to US college life and differing golf course conditions in the States. But he has too much talent not to succeed and it is only a question of time before it shines through on the other side of the Atlantic. 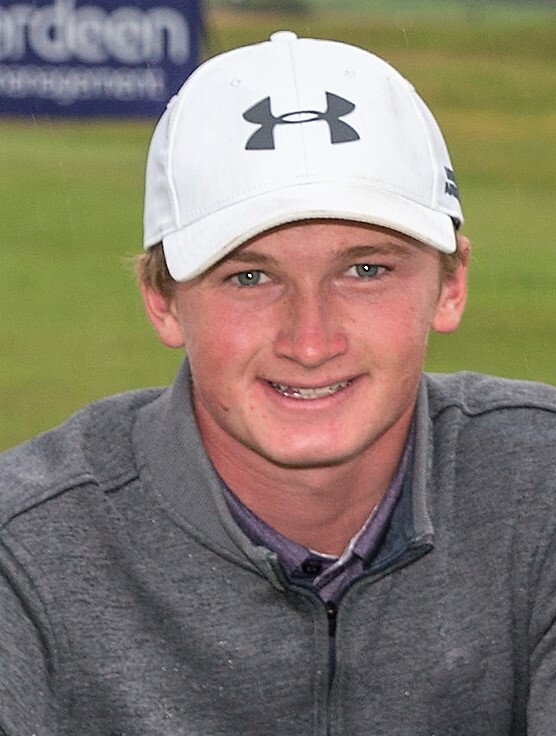 The top Brit was Londoner Ryan Lumsden, a third-year student at Northwestern, with scores of 73, 72 and 77 for a total of 222 and a T45 position. Scot David Inglis coach at Northwestern will not have been pleased that his team finished 14th of the 15 competing teams.